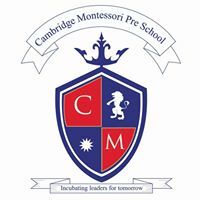 Cambridge Montessori preschool is poised to create a learning environment for tiny tots, which is based on internationally renowned Montessori philosophy propounded by Dr. Maria Montessori. The school develops an excellent Montessori curriculum sourced and researched from across the globe and delivered with the help of operational centres in Asia. It is known as the best preschool in India. Green wood public school is one of the best play schools in India. This play school is child entered, co-educational school, committed to provide top education for all students. They offer an alternate and unique educational experience to children. Footprints preschool programs build 21st century skills of imagination, critical thinking, communication and collaboration to help children become global citizens. At Sesame Street Preschool their educators to utilise a vast array of resources that span from workbooks, games, audio visual to digital materials, to ensure each child gets the lessons and materials they need to learn. In this school, Fully Air-Conditioned Hi-Tech classrooms, Fully computer-based audio & video visual teaching aids Well experienced, trained and highly dedicated staff.